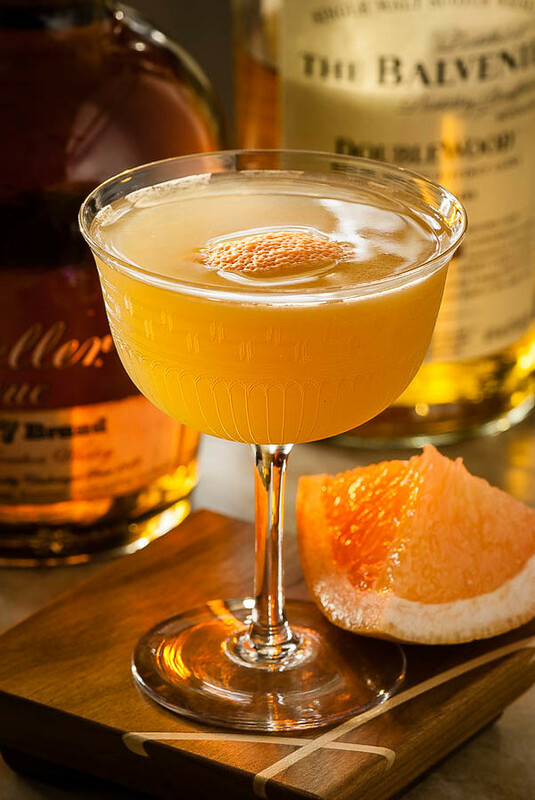 The Brown Derby formula—whiskey, honey, and grapefruit juice—had been around for awhile by then. It was published as the De Rigueur in Judge Jr.’s 1927 Here’s How , and again three years later—still as the De Rigueur—in Harry Craddock’s Savoy Cocktail Book . The Vendome started serving their version of the formula some time in the mid-30s. Their name for the drink—“Brown Derby”—replaced “De Rigueur” in cocktail manuals over time, and is the name we generally encounter today. Shake all ingredients with ice; strain into a chilled cocktail stem. Optionally, express and garnish with a grapefruit twist. It’s easy to fault Craddock for mistakes and sloppy editing, but I’m grateful for this change. I think the formula works much better with American whiskies, specifically bourbon. Rye works well, too, but the soft sweetness of a wheated bourbon seems to match the herbal notes of honey very nicely. On the other hand, Scotch does work well with honey, particularly if the whisky is not too heavily peated or smoky. The idea in balancing this drink is to avoid burying the grapefruit and honey flavors. The way I balanced this drink was to work out the proper balance of the grapefruit and the 2:1 honey mixture, sort of like making lemonade. (Is there such a thing as grapefruit-ade?). For the ingredients I usually have available, this works out to about 3:1 juice to honey syrup. From there, you add your favorite mixing whiskey until you have it right. The balance that works for me usually turns out to be very close to equal parts whiskey and the grapefruit-ade mix. My bias has always been to serve whiskey sours in rocks glasses, and I find it curious that the Brown Derby is traditionally served up in a stem glass. I’ve found no explanation for this oddity; perhaps that’s how the Vendome served it. “The Brown Derby Cocktail” at cold-glass.com : All text and photos © 2013 Douglas M. Ford. All rights reserved.